Daisy Ridley offended Harrison Ford on the first day of filming 'Star Wars: The Force Awakens'. The 23-year-old actress, who was cast alongside the Hollywood icon in the J.J. Abrams-directed sci-fi movie, has revealed how she managed to insult her co-star by revealing her mother is a huge fan of his. She recalled: "I did say when I first met him, 'Oh my mum loves you,' and he said, 'Oh great'." But once Daisy recognised that Harrison - who's reprised the role of Han Solo in the new movie - was offended by her remark, she quickly added: "Oh I love you too!" Daisy suffered another embarrassing on-set incident with Harrison when she mistakenly sat in his seat in the legendary Millennium Falcon spacecraft. She told The Sun newspaper: "You have seen a couple of shots of us getting into the Falcon. I did sit in the pilot's chair and he was like, 'That is mine,' which was kind of insane." However, the London-born star was thrilled at getting the opportunity to work with the 73-year-old actor, who she described as a "cool guy". 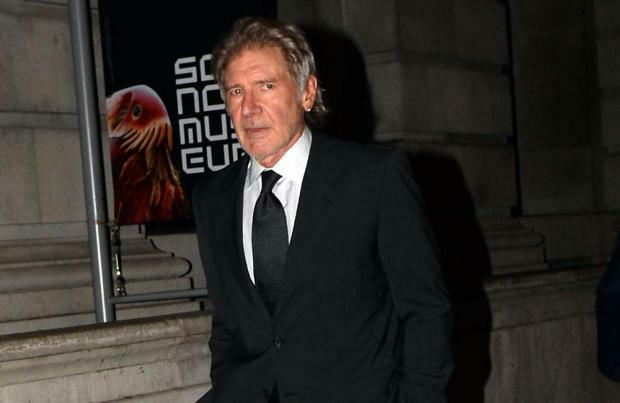 She shared: "It is that thing, he is Harrison Ford and is such a cool guy and a really lovely person to work with."